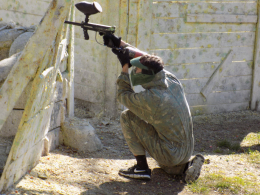 Come and enjoy a real event with well worked-out scenario, paintball gear and awesome tools. The game is determined for 6-10 players, on mutual agreement it is possible that more people can play. The event takes 4 hours and you have to book it at least 4 days in advance. It is possible to play in Mýto, SPA, Líně. 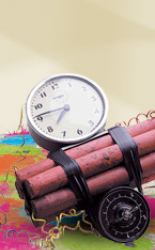 Police have to find the terrorist and destroy and deactivate the timer. If they cannot make it the bomb will explode. Each group, police and terrorists, has the special markers at its disposal. In addition, terrorist gets a bomb. 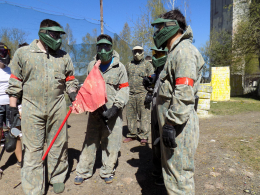 We play according to the military paintball rules. You get the hoppers with 50 balls and you can carry max. 150 paintballs in pods. You can win them. Players can shoot unlimited ammo during the event.